There is nothing quite like losing a loved one, let alone losing a loved one to unnecessary and untimely means. Not only is the pain and suffering an enormous burden to bear, but when the loved ones of the decedent are reliant on his/her income it can prove deleterious to both the emotional and financial health of the victim’s family. As such, it is important to know when to question the circumstances of such a death and know when to file for an accidental or wrongful death claim so that you can receive the compensation that you are entitled to. 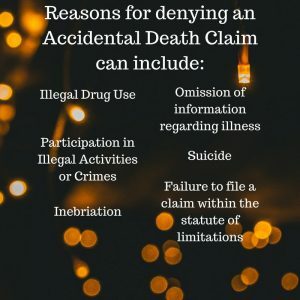 Throughout this article, we will discuss the nature of an accidental death, accidental death claims, the grounds for denial of said claims, and how an accidental death attorney can help you in obtaining compensation for the loss of your loved one(s). 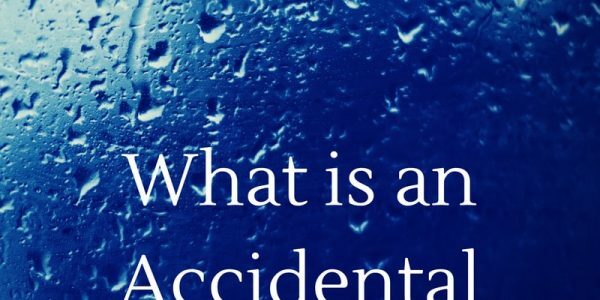 What is an Accidental Death? Simply put, an accidental death is a death that is strictly caused by accident. This means that any death caused by hazardous activities or intentional acts of war or violence are not recognized as an accidental death, and may be denied by insurance companies. In this case, it may be more viable to file for a Wrongful Death claim rather than an Accidental Death claim. 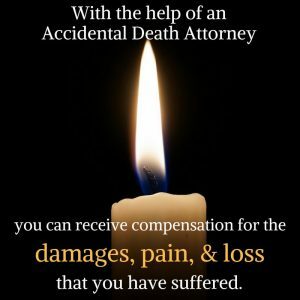 Accidental deaths are not always wrongful deaths, and wrongful deaths are not always accidental. 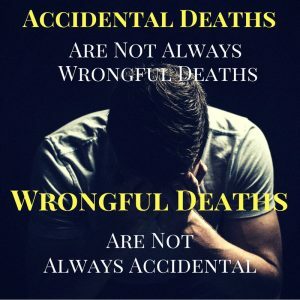 However, more often than not, wrongful deaths are also accidental deaths, especially in the cases of non-fatal and fatal motor vehicle accidents. A wrongful death is a fatality that is suffered due to another person’s negligence or malpractice. 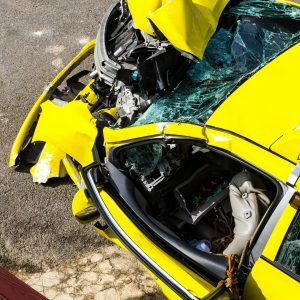 For instance, distracted driving, driving under the influence, texting and driving, speeding, drowsy driving, and reckless driving are all completely legitimate grounds for a wrongful death suit. In fact, most motor vehicle accidents are considered wrongful deaths, and can be challenged with the help of an wrongful death attorney. 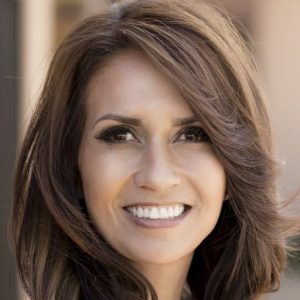 If you feel that the circumstances of your loved one’s death are subject to higher questioning than what was initially proposed, do not hesitate to consult with an accidental death attorney to see if your loved one’s death constitutes for the grounds to file an accidental or wrongful death claim. What is an ADD Claim? 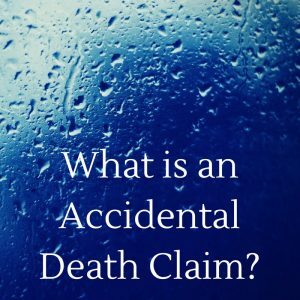 An Accidental Death Claim is one that proposes that the death of the decedent was caused by accident. In some cases, ADD claims are considered double indemnity — meaning double compensation for damages or loss — which most insurance companies do not want to do. As such, it is not uncommon for insurance companies to cover life insurance claims, but deny the accidental death claim. The denial of such claims cannot be done without valid evidence that the death was, in fact, caused by reasons other than by accident. While taking these factors into account doesn’t always result in the denial of an accidental death claim, problems can certainly arise when insurance companies deny a claim under the guise of blaming one of the above listed factors and declare the claim as invalid. As was aforementioned, the denial of such claims is not an automatic function, and more in-depth investigation must be conducted to determine the viability for the denial of the claims. In the case of illness or medical conditions, an insurance company must have credible evidence that the cause of death was the sickness and not indeed the accident in question. As for cases involving drug use and intoxication, fastidious examination of the case is required before any action or lack thereof can be taken, and these cases in particular can prove to be quite rigorous. If you have lost a loved one to what you believe to be an accidental or wrongful death and your claims for such grounds have been denied by the insurance companies, do not hesitate to enroll the expertise of an accidental death attorney to help you navigate this problem. It is important to remember that if your claim gets denied, it is not final and can be reversed via appeal or litigation. So, do not fret if your claim has been denied by insurers. With the help of an accidental death attorney, you can fight these allegations and receive compensation for the damages, pain, and loss that you have suffered. 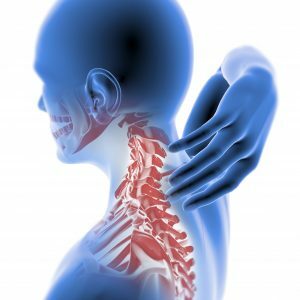 At Hale Injury Law, you will be provided with top-notch professionals and ample resources to fight the good fight and receive what is rightfully yours. Don’t wait, and call Hale Injury Law today for a consultation.